Gauri Lankesh was 55 years, 7 months	& 7 days old age. 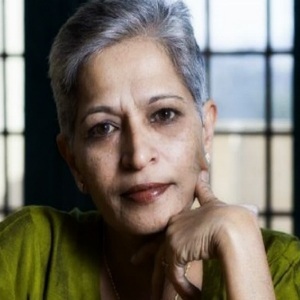 Gauri Lankesh was born on 29-01-1962 in Bengaluru in the state of Karnataka, India. She was an Indian Journalist & Activist. Gauri Lankesh was a popular Indian journalist and activist. She had worked for women's rights and protested against caste discrimination. 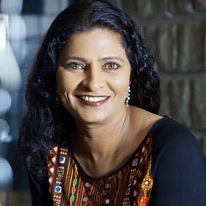 She began her career with ‘The Times of India’ as a journalist in Bangalore.She later shifted to Delhi after her marriage and again came back to Bangalore. She started working with Sunday magazine as a correspondent. She worked there for 9 years. She was working in Eenadu's Telugu television channel when her father died in 2000. 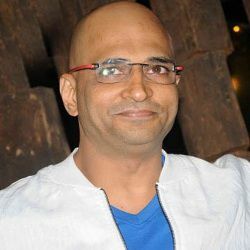 After her father’s death, she along with her brother Indrajit wanted the publisher of Lankesh Patrike( Kannada-language weekly tabloid established by her father) to cease it. But publisher convinced them not to do so.Instead, she joined Lankesh Patrike as an editor and Indrajit looked after the business affairs of the publication. But the duo of brother-sister had different opinions over the ideology followed by the paper in 2001.This turned into fights and the issue came to the public when a police complaint was filed by Indrajit against her claiming she was promoting Naxalism. She denied all the allegations against her and in return stated that her social activism is the reason for this. She added that she was opposed by her brother for the same. 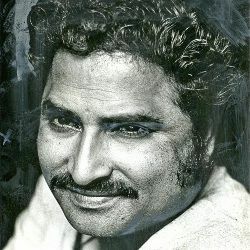 Later she started Gauri Lankesh Patrike which was again a Kannada weekly. She opposed the right-wing Hindutva politics. She even remarked that women are ill-treated like second-class creatures in Hinduism while protesting for communal groups’ ban in 2012. She worked for Lingayat community as well. She believed that Basavanna’s followers were not Hindus. She had advocated freedom of the press. She exposed D. K. Shivakumar (Indian National Congress leader) with her writing.She ended her friendship with Prakash Belawadi when he joined Bharatiya Janata Party as a media advisor for Indian general election 2014. She was the member of the committee formed by the Congress-led Karnataka government for convincing Naxalites to stop the violence and surrender themselves. BJP leaders tried to get her off the committee but the Chief Minister Siddaramaiah declined the request. She was accused by few Brahmins for criticising the Brahminism and novelist S. L. Bhyrappa. She explained the reasons and counter-attacked that group of Brahmins with her questions. A rally was organized against her to file a First Information Report in 2015. A case was filed against her by BJP leaders and in 2016, an arrest warrant was issued against her. She was free with a bail for ?25,000.Later she was proved to be guilty of defamation of the Dushi and Joshi. Gauri Lankesh died on 05-09-2017 in Bengaluru in the state of Karnataka, India at the age of 55 due to Fatal Gunshot Wounds. Gauri Lankesh was born to the poet-journalist P. Lankesh in Lingayat Kannada family. She was one of the three children including brother Indrajit and sister Kavitha.She was married to Chidanand Rajghatta. The couple had divorced after 5 years of togetherness. She then didn’t marry anyone and stayed alone. She considered Kanhaiya Kumar, Jignesh Mevani, Shehla Rashid Shora and Umar Khalid as her adopted children. They were welcomed to her house whenever they are in her city. She Was Known For Her Outspoken Attitude. A Defamation Case Was Filed Against Her & She was convicted in November 2016.